9 years, since we started out on this epic journey! 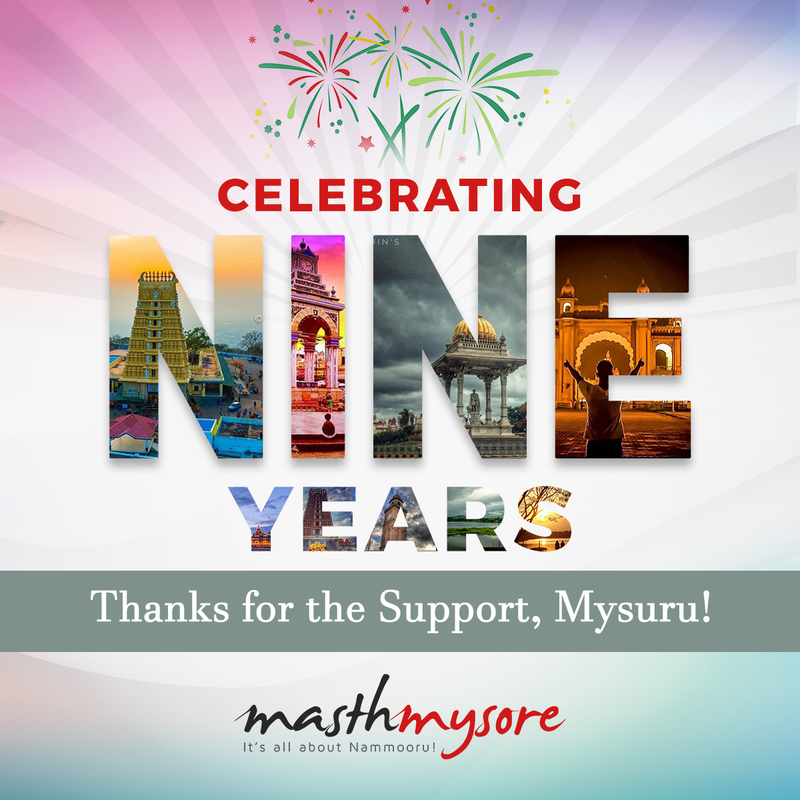 9 years & we are still falling in love ever more deeply with this truly amazing city of ours – #Mysuru! Every post, every comment, every picture has been in appreciation of this great city & we are still not done! Here’s to wishing more years of togetherness, for this journey would not have been the same without you amazing people. Let’s share the love, Mysuru!